The 4 lane Horse Derby is a great way to have fun racing on your horse. We have three different sized horses so anyone from small kids to adults can race to the finish. 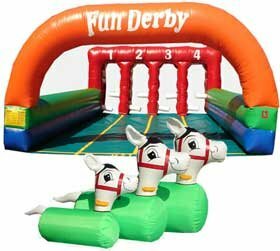 Don't wait, rent the horse derby for your next party or event.